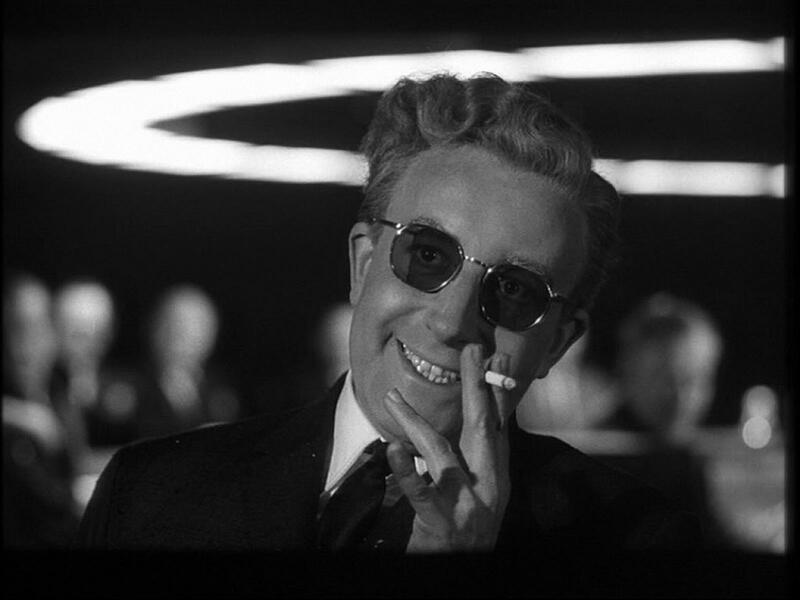 To hear some of what’s proffered by left-wing gurus and commentators, we’re now living though a terrifying real-life reenactment of Dr.Strangelove or: How I Learned to Stop Worrying and Love the Bomb. Stanley Kubrik’s 1964 black comedy spotlighted a loony general who ignites a nuclear apocalypse that a coterie of bungling politicians and frantic generals fail to stop. Cast as the gung-ho paranoids who push for a first-strike to break the MAD (Mutually Assured Destruction) stalemate are of course PM Binyamin Netanyahu and anyone else who dares insist that Israel must help itself if no other choice is left. Those who fear Iranian nukes are deemed deranged. In contrast, those in our midst who have learned to stop worrying and love the Iranian bomb are acclaimed as prudence personified. Indeed, there’s a plethora of political benefits to be accrued from pooh-poohing the Iranian threat. To begin with, Netanyahu’s unremitting adversaries have homed in on yet another pretext to wallop him – his alleged unhinged obsession about an insignificant explosive device that we could easily be reeducated to live with. Beyond that beckon greater opportunities to deepen defeatist dispositions. Our truly doctrinaire leftists – as distinct from Israel’s pragmatist and activist founding fathers – have never approved of successful Jewish nationalism. Israel’s deterrent capabilities were always anathema to those who have made it their mission to take us down a few pegs and shrink us back to what they regard as more befitting proportions. Hence it almost gladdens certain hearts to see doomsday weapons in the hands of an implacable enemy. There can be no better antidote to what’s perceived in certain quarters as Israeli arrogance. There’s sneering pleasure to be derived from witnessing cocky Zionists dwarfed and put in their place. Besides, postmodern moral-relativists discern no differences among assorted possessors of The Bomb. Our democracy, they aver, is no better than the ayatollahs’ theocracy. Their resolve to wipe us off the map is no worse than our resolve to survive. Seen thus, it might not be so awful if Ahmedinejad adds a few atomic warheads to his arsenal. It’s much like the unstinting tolerance evinced by yesteryear’s leftists toward Soviet nuclear stockpiles. Their motto back then was “better red than dead.” In other words, accept defeat without struggle. Moreover, further down the line it might be rationalized that not only is it better to be defeated than to die, but that it’s better to be defeated than to be victorious. “It is forbidden for Israel to attack Iran,” Grossman reasons omnisciently, because “there’s no way to determine with certainty that Iran will attack Israel if it possessed nuclear weapons.” The subtext: Israeli self-defense is illegitimate before a nuclear mushroom rises over the incinerated Dan Region. Of course, by then it would be way too late, but why quibble. Grossman, of course, will never admit to preying on our fears but he will unhesitatingly accuse Netanyahu of unconscionably scaremongering. All the while, the powers-that-be in Tehran recommend vociferously that Israel be wiped off the map. It’s left up to us to decide whether to take them at their word and believe their genocidal bluster, or dismiss it as inconsequential ranting for domestic consumption. Grossman would balk at historical comparisons, at our observations that we had seen it all before, been there and paid in oceans of blood for dismissing the blunt tirades of other tyrants. But the incontestable fact is that human nature doesn’t change over the generations, only specific circumstances take on different forms. At heart, we chronically prefer the serenity of today over security tomorrow. It’s not a cliché. It’s the truth. Neville Chamberlain’s “Peace for our time” was genuinely applauded on his return from Munich in 1938 – first by grateful crowds, then by the House of Commons and subsequently by every British newspaper. Winston Churchill, who dared swim against the tidal wave of public opinion, growled: “I believe we have suffered a total and unmitigated defeat.” That didn’t win him adherents. Churchill was heftily booed down. Why? Were the masses stupid? No, they were just like us, concerned about the here and now. The seeds of World War II germinated on the ostensibly sane and safe middle-ground. Caution facilitated the global cataclysm. Quintessentially judicious and practical Neville Chamberlain was the then-iconic high-priest of responsibility. In his gentlemanly manner, he was the consummate champion of cop-out. It wasn’t a personal failing or an idiosyncrasy. He wasn’t pursuing a private agenda that eventually collapsed catastrophically. Chamberlain popularly reflected his nation’s zeitgeist. Most Britons wanted to disengage. That’s why middle-Britons en masse supported the 1934-35 Peace Ballot. It was promoted by Lord Robert Cecil who won the 1937 Nobel Peace Prize for this inanity. Some 500,000 canvassers went door-to-door to poll ordinary folk on whether they’re for peace and against war – as manipulative as asking who’s for healing and against pain (or who’s for Grossman’s moderation and against extremism). With no terms or conditions stipulated, “peace” won by a whopping 10,500,000 votes to a mere 750,000. This gauge of the public’s mood was anything but harmless. The Peace Ballot made London’s deterrence ring hollow, because despite its inherent bias, it encouraged appeasement. It made Europe’s ensuing bloodbath inevitable, having assured Hitler that – much as the Brits abhorred him – the last thing they wanted was to fight. There’s every chance that word of Grossman’s perceptions, and similar prattles by plenty of others, has reached Ahmedinejad and emboldened him. But let’s suppose, for argument’s sake, that this isn’t the case, that analogies to pre-WWII appeasement are spurious and that we wouldn’t be nuked if we take Grossman’s advice and learn to put up with the Iranian bomb. What then? Nothing to worry about? Hardly. At the very least Iranian nukes would turn all Israelis into hostages of the very ayatollahs who keep preaching for our extermination. Although unparalleled on the horrific-hazard-scale, even undetonated Iranian nukes are somewhat akin to Gaza’s and South Lebanon’s missile caches. In both cases millions of Israelis are held to ransom via the amassed firepower of Islamic zealots who try to call the shots and stymie our self-defense on pain of punishment. While the world’s opinion-molders bewailed the blockade on Gaza, they turned a blind eye to its engorged rocket hoards. With equal perfidy, the international community ignored its own obligations under UN Security Council Resolution 1701 and allowed Hezbollah to rearm monstrously. A nuclear threat of course is way more sinister. For one thing, it’ll trigger a regional nuclear arms race. Saudi Arabia is already showing interest, a fact which should send shivers down all spines everywhere, considering the oil-glutted kingdom’s instability and the fact that al-Qaida’s villains, including the 9/11 perpetrators, mostly emerged from the Saudi hatchery. Secondary nuclear proliferation to a whole host of terror outfits is an unavoidable complication to boot. Assorted “dirty bombs” in the hands of Allah’s warriors will leave nobody invulnerable. Extortion opportunities would become limitless. We could be blackmailed with varying degrees of nuclear hell if we don’t set loose every last convicted terrorist; if we don’t surrender Jerusalem; if we don’t allow Israel to be inundated with millions of hostile Arabs calling themselves descendants of refugees; if we don’t retreat into suicidal borders as delineated by would-be annihilators; if we don’t all dive into the deep blue sea and dutifully disappear beneath its waves. Food for thought for a nation that released over 1,000 terrorists for one kidnapped solider. And more tidbits to chew over – what would have happened if back in 1981 Menachem Begin had suddenly seen a Grossmanesque light, got cold feet and decided to desist from the destruction of Saddam Hussein’s nuclear reactor? How would we have fared a decade later, in the First Gulf War, if the Iraqi tyrant had the bomb? How would the rest of the world have coped? In all, the “balance of terror” to which the Left readily acquiesces is no great shakes. There are too many shady characters and shoddy ideologies in our neighborhood to instill even a modicum of confidence in any rational stewardship next door of weapons of mass destruction. That said, ignoring bad bombs in bad hands while hoping for the best might not be the best modus operandi for preserving life and limb – to say nothing of preserving that familiar old roof over our head. It’s easy to ridicule and it’s easy to resort to smears in the Dr. Strangelove idiom, but fearing Iran’s bomb and seeking to preempt it may be way saner than learning to love it. Needless to stress, the sanest thing of all is just to babble a whole lot less. That great movie made in 1964, shortly after the Cuban nuclear crisis, is a clear school book paradigma, that nuclear deterrence may just ***N O T*** work !!!!!!!!!!!! That was the whole concept of that nice film…and these Iranian madmen are a 1000 times more crazy than that somewhat eccentric American general, who back then, started the countdown to nowhere…! General Ripper would be no match for todays leftists…oh well……………………………………. Fear of a nuclear holocast is not to be put down with all the terrilble things that have happened to the Jewish peoples over centuries. The history of Israel goes back through some pretty bad times, kings who were ruthless, and an angry God that was filled up with the disobeyed orders He had given first to Moses, then to others over the many centuries. What makes these days so different? Maybe the fact that we are in what my Bible describes as the “end days” when God again has had His fill of people breaking His laws. The time has come. With the advent of the Jewish homeland being celebrated in 1948, and the many critical events that have happened since, we are in those days where the One to be worried about is our God, whose patience has run out! The Iranians may have their bomb, but God has all the makings for a whole lot more. Wake up, O Great Israel. If you haven’t read the writings going over all this material and what will happen during these latter days, then maybe I would suggest that the time has come to do so. Don’t worry about a bomb that the Iranians might have. Be worried about pleasing God who looks down on us in much anger for the way we are living, and it is getting worse by the day. Just look around us and you will see it. In America (and elsewhere) we are now killing babies that have just been born. Does that sound familiar? I pray much for an awakening, but I am afraid we are more worried about prosecuting poor Netanyahu than we are about asking God for mercy. By the way Sarah, my buddy Noodles and me are both two big fans of the Doctor…lol…and of course even bigger fans of yours…so really thanks a lot for that terrific Tack !!! “Grossman reasons omnisciently” – Just out of curiosity: is he working even harder than usual in politics for the sake of getting the Nobel Prize for Literature? Mario Vargas Llosa had always been pro-Israel, but the moment he smelled the close scent of the Prize he became pro-Palestinian, which apparently is all the rage now and favourite flavour of our time. Having gone politically kosher, he got it without undue hassle. On the other hand, one of the greatest writers of our time, Jorge Luis Borges, who, in the words of another Nobel Prize laureate, J.M. Coetzee, “renovated the language of fiction,” had no chance because he was a conservative. I have no quarrel with Llosa: it wasn’t, after all, his country he was betraying to get the Prize, but when it comes to all sorts of Israeli luminaries, we can’t help wondering what part of their anti-Israel views is due to honest stupidity (half-excusable in an artist, whose intelligence is creative and lies elsewhere) and what part to carefully thought-out, calculated cynical opportunism. Just out of idle interest. Sarah, let me express myself in vernacular American: “You nailed it”! The death Cult and the Mullah’s know that Israel under spineless,cowardly leadership who always ‘just follow orders’ and capitulate and retreat to please their Fourth Reich Quartet masters is too weak and fearful to use their nukes against them as they watch how Israel targets empty tunnels and hub caps on abandoned cars in Gaza instead of cutting the head off the snake permanently. Israel’s secular, appeasement and never standing firm on anything ,always retreating weakness and fear encourage Tehran at every turn. Aiding the enemy is still treason but in modern day perverse,suicidal,faith challenged Israel it is seen as nobel. There has to be a reason why such a large segment of Israel’s population are suicidal. Honig digs down to the deepest truths. Honig is 100% correct. Here’s a Knish and Schlussel. Thank you Chris, for remembering your dear uncle Noodles. Yes we do appreciate Sarah’s reference to our hero the Doctor in her latest top-notch article. Our only regrets is that she didn’t mention the wonderful “doomsday machine” and that there are no Jack Rippers or Buck Turgidsons in todays military leadership…oh well…nevermind. Noodles, your video is great and Sarahs blog is the ***best*** one around !